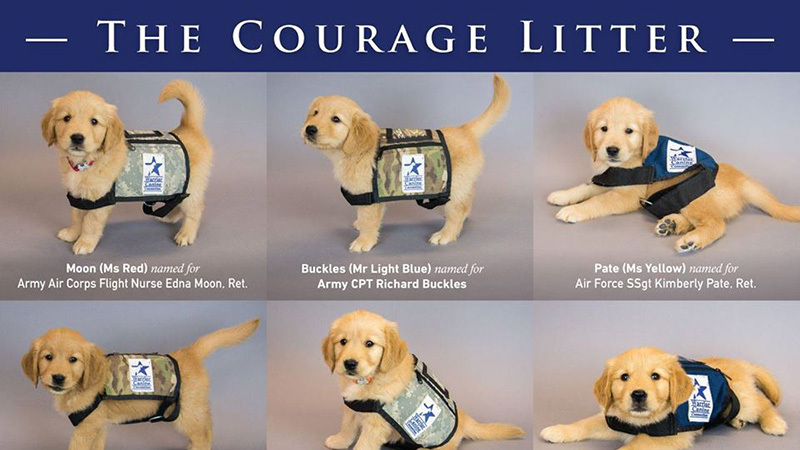 Up until now, the eight puppies of Warrior Canine Connection’s Courage Litter — born in late January — have been known by the color of their ribbon collars. Not anymore! In keeping with WCC’s tradition of naming its puppies after U.S. Service Members and Veterans who have sacrificed so much for our great country, we are pleased to share the inspiration behind the namesakes of these future service dogs in training. To learn more about each puppy’s namesake, click here.